May 9th sale of finished cattle - click here to jump to the website. OKC West sold slaughter cows steady to 2.00 lower and bulls mostly 1.00 lower on Monday compared to the last sale - click or tap here for details. Oklahoma National Stockyards in Okla City estimated receipts at 8,500- Calves Steady to higher- Yearlings Steady to lower- Click or tap here to get the full report. Joplin Regional Stockyards saw yearlings steady- and some weakness in Calf trade- click or tap here for the full report from USDA. Daily Oklahoma Cash Grain Prices- as reported by the Oklahoma Dept. of Agriculture on Monday, May 7th. -- From the Calendar- Wheat Field Days Continue All Week- Take a Look to Find One Near You! The latest crop progress numbers released by USDA on Monday afternoon indicate that the US corn crop, although still trailing last year's and the five-year average's pace of planting, is rapidly closing the gap compared to weeks prior. Soybean farmers however, seem to be making up for lost time. Meanwhile, the wheat crop in the Southern Plains continues to suffer from hot, dry weather and remains stunted in its development, foreshadowing lower than normal yields this harvest season. To review the complete Crop Progress report released on Monday afternoon- click or tap here. Checking in on our southern plains states- Oklahoma received some much needed rain last week but also some less desirable weather, such as hail, severe winds, and flooding - winter wheat jointing reached 94 percent, down 4 points from the previous year and down 3 points from normal. Winter wheat headed reached 80 percent, down 8 points from the previous year but up 1 point from normal. Wheat's condition this week in Oklahoma rates at 68 percent poor to very poor, 23 fair and 9 percent good to excellent. Click or tap here for the complete Oklahoma Crop Weather report as of May 6. In Kansas, limited information includes the latest wheat ratings - winter wheat condition rated 16 percent very poor, 34 poor, 36 fair, 14 good, and 0 excellent. Winter wheat jointed was 74 percent, well behind 95 last year. Headed was 19 percent, well behind 57 last year and 41 for the five-year average. Click or tap here for the Kansas Crop Weather details released on Monday afternoon. Finally, in Texas, average temperatures increased from the previous week in most parts of the state, while storms caused some wind and hail damage but also brought much needed moisture. Winter wheat in the Plains remained in poor condition. Producers in the Cross Timbers and areas of the Blacklands were cutting and baling small grains in some areas. Wheat was turning in the Blacklands. Rust has been seen in some wheat in South Central Texas. Wheat harvest continued in areas of South Texas. Winter wheat headed this week rates 73 percent, on par with the average but behind last year by 9. Harvest has already begun and is at 5 percent complete versus 0 percent the year before and the average. Wheat's condition in Texas this week rates 16 percent good to excellent, 24 fair and 60 percent poor to very poor. For the complete Texas Crop Weather report- click or tap here. Oklahoma's crop again had deterioration this week versus a week ago while the Kansas crop saw neither a decline or improvement in its condition. The Texas wheat crop, though, again had some slight improvement this week in its combined poor to very poor crop rating - Oklahoma's poor to very poor rating increased by two percentage points from 66 percent a week ago to 68 percent this week. The Kansas crop stayed the same - at an even 50 percent this week - and the Texas wheat crop actually improved some decreasing from 61 percent poor to very poor last week to 60 percent poor to very poor this week. Oklahoma AgCredit supports rural Oklahomans with reliable, consistent credit. Part of the 100 year old Farm Credit System, Oklahoma AgCredit offers variable and fixed interest rates to help you manage your budget. Oklahoma AgCredit loan terms fit your cash flow for land, livestock, equipment and operating costs. Click or tap here for their website to find an office near you. Talk to a local team who understands agriculture. Talk to Oklahoma AgCredit. Financing rural Oklahoma. Equal housing lender. On Monday, OSU's Dr. Derrell Peel examined the impact that's being felt by beef producers as they continue to struggle with the effects of drought in the wake of recent wildfires that caused considerable damage to many cattle producing operation across the northwest portion of the state. Peel says after a momentary pause in the worsening of conditions thanks to some recent rain that brought the first bit of moisture the northwest has seen in months, drought has expanded further in that corner of the state with rising temperatures and no additional moisture to speak of. Current weather forecasts predict this pattern will continue. So far, Peel says he is not aware of any liquidation in cattle herds yet due to drought but says the situation will likely become more critical if drought persists while the supply of resources wanes over the coming weeks. In a normal situation, severe drought like this would be enough to worry about. However, ranching families in this area are faced with even more of a predicament as they deal with the devastation left behind by April fires. "My estimates of wildfire losses based on preliminary information currently available sum to a total of $26.4 million for cattle operations, Peel states. "Estimated cattle industry losses in Oklahoma include $16.4 million for fence replacement and repair; $1.4 million for livestock killed or destroyed as a result of the fire plus veterinary costs and reduced value of surviving injured animals; $6.3 million for burned facilities and corrals; $1.6 million for emergency feed; and $0.66 million for burned pasture and hay. These totals do not include any estimates for vehicle and equipment losses or homes or other personal property destroyed in the fires. These estimates may increase as a more comprehensive assessment of the losses is completed. "The drought can pass with little significant additional impact if rains arrive very soon. Failing that, the drought will become a major issue in the next few weeks." 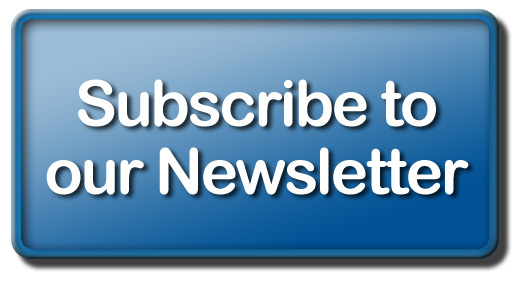 Click here to read Peel's full article in this week's edition of the Cow/Calf Corner newsletter published yesterday on our website for your convenience. At 12 Noon on Wednesday, May 9th, 2018, OKC West Livestock Auction in El Reno, Okla. will host a special rollover sale benefiting members of the rural community from northwest Oklahoma victimized by April wildfires. All proceeds will go directly to the Oklahoma Cattlemen's Foundation which will oversee the 100 percent distribution of the money raised through its wildfire relief fund. We caught up with Robert York, to talk about the details of this special sale. Listen to our conversation or get more information on how to participate in this charitable auction, by clicking here. A designated calf will be sold in the sale ring at Noon on the day of the sale, Wednesday, May 9th and will be sold repeatedly until all charitable bids have been collected. If you are unable to attend the sale that day but would like to donate, you are encouraged to contact OKC West at (405) 262-8800. Two other calves have also been donated and earmarked to be sold under OCF's name to benefit the Foundation's wildfire relief fund as well. Producers who would like to support the Foundation's efforts in this way are also encouraged to do so. This year's Texoma Cattlemen's Conference, which will be held during its new summer date on Friday, June 15 to better accommodate cattle producers, will focus on a number of issues and opportunities pertaining to ranching efficiency. According to a release from the Noble Research Institute, this year's conference has several new features in addition to those regular attendees have come to expect, including an adjacent field day scheduled for Thursday, June 14th. Producers will have the opportunity to tour two Noble Research Institute farms to examine some of the applied systems research being done on regional beef cattle, in the field. Noble Research Institute applied researchers, operational staff, managers and consultants will be on-hand to present the applied agricultural systems activities on the farms and discuss the implications to producers. We will also be at the conference to moderate discussions again this year. In addition, the program will also feature a trade show highlighting allied industry supporters, plus lightning talk updates covering a wide range of topics such as Nobel's Forage 365 research project and more. And you won't want to miss hearing from several industry-leading experts like Jim Robb of the Livestock Marketing and Information Center; Donnell Brown of R.A. Brown Ranch; Colin Woodall, NCBA's lead lobbyist; and newly appointed department head of the Texas A&M University Department of Animal Science, G. Cliff Lamb - all of whom will provide information that directly pertains to enhancing operational efficiency on our ranches. 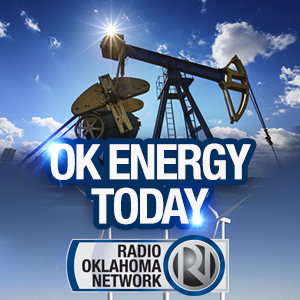 Also, stick around for some industry updates from the Oklahoma Cattlemen's Association, Texas and Southwestern Cattle Raisers Association, Oklahoma Beef Council and Oklahoma Farm Report during the noon hour. This could be one of the most impactful regional conferences this year. For more details on this conference and its agenda or for information on how to register, click here. The US Roundtable for Sustainable Beef hosted its 2018 General Assembly meeting in Oklahoma City this past week to continue its work in raising the bar on sustainability for the US beef industry. The program's opening session featured a consumer panel that allowed real beef consumers from the Oklahoma City area to voice their opinions about beef and beef production in an open forum. We sat down with the USRSB's new chair of the Roundtable, Kim Stackhouse-Lawson, to get her reaction on the discussion that took place that day. "I think the one thing that really resonated with me is how much they love beef," she said. "Every single one of them love beef and love that it's a part of their diet and their life. But, we know that consumers are increasing their emotional connection to food and we know with that, they're worried about what might be in their food." "So, I think there is an incredible opportunity to lift the good work that is taking place in our beef industry; to talk about the way we do things every single day and to really connect with these people," she said. "Because, I do think we share a lot of similar values." 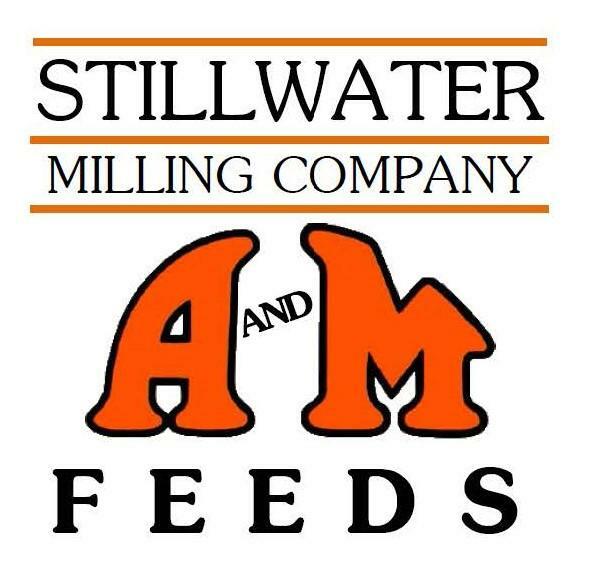 Listen to Stackhouse-Lawson share her reaction to last week's focus group, with us on yesterday's Beef Buzz - click here. 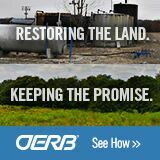 Through the voluntary contributions of Oklahoma's oil and natural gas industry, the OERB has spent over $113 million restoring more than 16,000 orphaned and abandoned well sites across the state at absolutely no cost to landowners. The OERB has restored sites in 71 of 77 Oklahoma counties, cleaning an average of two to three sites each day. Biofuel industry advocacy group, Growth Energy, submitted an open letter to President Donald Trump via three major newspapers including the New York Times, New York Post, and the Wall Street Journal in each of the publications' Monday editions. The letter urges the president to "unleash rural growth by cutting the red tape holding back homegrown energy." It also condemns EPA Administrator Scott Pruitt's actions, which Growth Energy claims are "destroying demand for biofuels and crops during the worst farm crisis since the 1980s." The full-page ads were placed by Growth Energy ahead of an expected meeting between farm-state champions and petroleum backers at the White House this week. "We want the president to know that we are counting on him to end the attacks on US biofuels and press ahead on solutions that will expand markets for homegrown energy and revitalize rural communities," said Growth Energy CEO Emily Skor, who called the biofuel sector a vital pillar of strength for struggling farm families in need of the President's quick action to put an end to oil-back schemes that are derailing Rural America's recovery. The open letter coincides with a new digital and radio ad campaign launched by Growth Energy earlier this month, which urges Midwest voters to contact the White House in support of E15 and keep pressure on the President to follow through on his promise implement year-round sales of E15 blended fuel. Click here to learn more about this story, or to read the open letter from Growth Energy to President Trump. Oklahoma Lt. 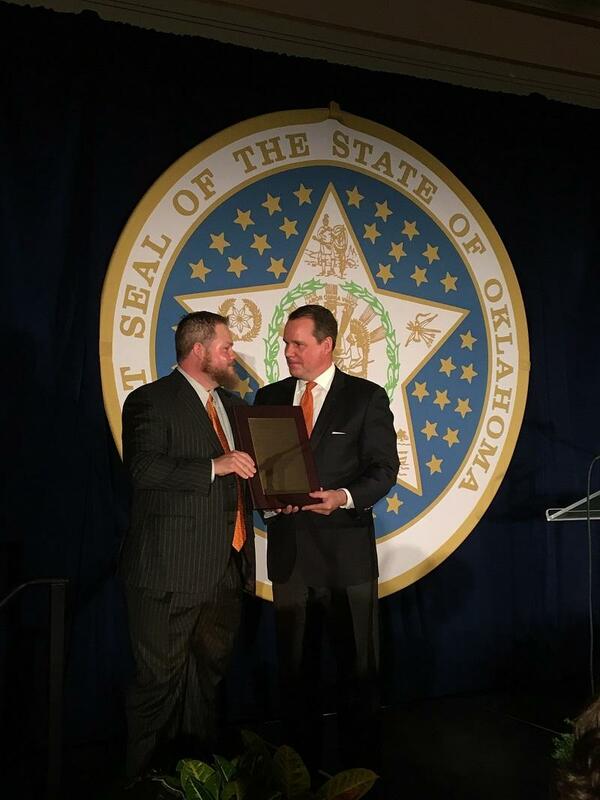 Governor Todd Lamb awarded Johnston Seed Company with one of four Lieutenant Governor's Awards of Excellence during the 20th Annual Oklahoma Small Business Day at the State Capitol this past week. Joey Meibergen, president of the Enid-based company, accepted the award and highlighted the company's extensive work in Bermuda grass research and innovation. He attributed the award to the employees and those that are farming to produce the products that they distribute. "For twenty years this special ceremony has placed a spotlight on Oklahoma small businesses, their owners and employees," Lamb said. "Through my annual visits to all 77 counties, I know the crucial economic impact our small businesses have on Oklahoma's economy. The state must continue to push toward a pro-business regulatory environment that allows them to flourish. Small Business Day is a great event that showcases this vital segment of our economy to legislators and state leaders. I am honored to welcome these Oklahomans to their State Capitol." The program also included remarks from Senate President Pro Tempore Mike Schulz, Oklahoma Director of the National Federation of Independent Business, Jerrod Shouse, and Business and Industry Services Director for Autry Technology Center, Terri Holle. Click here for more information about this award and the recent ceremony at which Oklahoma ag business leader, Johnston Seed Company, was honored.